Ever since I was a kid, I’ve wondered about what happens to coins that are thrown into water fountains. I always thought coins that have been tossed into a fountain are pretty much left there. After all, they represent people’s wishes, right? Well, I did some research on this topic, because I started getting curious after I noticed that fountains into which I had previously tossed coins looked a little less ‘cluttered’ with coins than I had recalled. Hmm… “Are the coins removed?” I wondered. 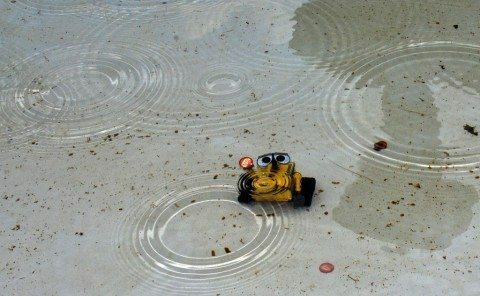 Where Do Old Coins In A Fountain Go? As I — the sometimes still youthfully naive person I am — have learned… much to my disappointment, the coins are removed. At least in most cases. But why would anybody remove coins from the fountains? Obviously, yes, those coins are worth money, and that alone can be motivation enough for individuals to remove coins from a fountain. But, it’s not really as simple as that. In fact, coins are mostly removed by professional cleaning crews. The coins are removed by hand or with the use of a scoop, and then they are placed into large plastic buckets. After that, the coins are allowed to dry, and then they are sorted by denomination. Most times, the coins that are collected from fountains here in the United States represent typical pocket change: common Lincoln cents, Jefferson nickels, Roosevelt dimes, and Washington quarters. But, in some situations, the finds can get quite interesting. For example, at the pink granite fountain in Bryant Park which is located in the New York City borough of Manhattan, foreign coins such as euros regularly show up. That, of course, is not uncommon in a place like the Big Apple, which hosts millions of international tourists each year. Bryant Park ended up collecting about $3,100 of coins that had been tossed into the fountain in 2011. Sound like a lot of money? Well, it is, and it all went to a good cause: maintaining the fountain so the public can enjoy tossing coins into it! What About Coins Tossed In The Trevi Fountain? There’s probably no more popular fountain for coin tossing than the Trevi Fountain in Rome. 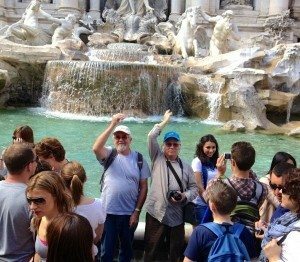 The legend, made popular by the movie Three Coins in the Fountain, says that one who tosses a coin into the Trevi Fountain will one day again return to Rome. At one point in the mid-1980s, cleaning crews were finding 2.5 to 3 million lire (the lira was then Italy’s denominational unit) – that was, at the time, the equivalent of about $2,000 US dollars! So, what happened to all those coins in the Trevi Fountain? Italian coins were deposited into municipal coffers to help finance the upkeep of the Trevi Fountain; foreign coins went to the Red Cross.